How can I get access to the full library of resources on the Knowledge Bank? Organisations that are implementing Signs of Safety are able to purchase access to Knowledge Bank resources for their staff. Check out the About page for more information about how to subscribe, and the kinds of resources that will be available to you. You can reset your password yourself as long as you know the email address associated with your account. Go to the login page by clicking 'Login' in the top-right corner of the site, or by clicking here. If you are still experiencing difficulties, please submit a support request. This short clip shows you how to search for a resource using a keyword and how to refine your search to find a resource that best fits what you are looking for. I would like to contribute a resource to the Knowledge Bank. How can I do that? Practitioners, organisations, trainers and consultants from around the world are generating strong and successful examples of Signs of Safety practice. We are actively working to be able to accept submissions from child protection organisations, but aren't able to do so at the moment. When we're ready to accept these submissions, we'll make it clear on the Knowledge Bank website. Why are there not as many resources here as I expected? Without subscribing to the Knowledge Bank, the public can access a limited number of resources. This includes things like the basic Signs of Safety forms, a selection of Signs of Safety Gathering videos, and other introductory resources. Organisations who have purchased a Knowledge Bank subscription have access to the resources Resolutions Consultancy have developed, and to those for which Resolutions Consultancy has permission to share. This provides access to approximately 500 Signs of Safety resources. More information about the kinds of resources available, and how to subscribe to the Knowledge Bank, can be found on the About page. Can I add extra number of accounts for my organisation if I've already subscribed to the Knowledge Bank? If you have purchased a Whole Organisation Subscription to the Knowledge Bank, it is simply a matter of sending us an updated user template form and we can create those accounts for you. If you have Purchased a Small Group Subscription, and you would like to purchase an additional number of accounts, we can do this for you. We can invoice you for the number of accounts you would like to have more of and once you have paid, we can put those on for you. In both cases when the time comes to renew, we simply invoice you for the number of accounts you would like to have going forward. 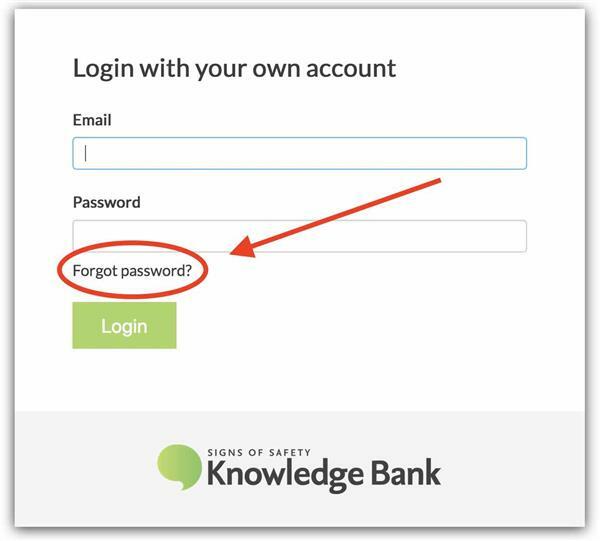 If I'm the Knowledge Bank Coordinator, how do I add additional members, or updating account information, or deleting accounts of staff that have left? Where such account information will be stored (e.g. cloud or on-premise)? The Knowledge bank accounts are stored on the website, the original files sent to us, as well as the files we create to onboard users are stored on our internal Knowledge Bank Support filing system. Who “owns” the account information? As far as we are concerned, all account information it’s yours. We’re only using it to create accounts for your staff. The only time we use the information is for communication purposes. Eg user support, password resets, website maintenance, Knowledge Bank induction emails, or platform usage surveys sent to users to better see what features and resources people would like. Your internal Knowledge Bank account Coordinator will have access to the information on request. We can export out the list of staff, as well as reports such as who is logging in, who hasn’t logged in, etc. The Knowledge Bank Team also have access to exporting user lists, but to make sure everything is going smoothly with your subscription and your users access. Why do you need names, email addresses and job titles on the user template?